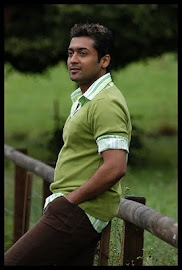 Surya's upcoming movie 7am arivu special effects are done by Makuta VFX Studio. Earlier it was reported that the special effects of the film done by Stan Winston Studios. 7am Arivu directed by A.R Murugadoss features Surya and Shruti Haasan in lead roles, music by Harris Jayaraj.The audio of the film is all set to release on September 22nd at Chennai. The movie will hit the screens for Diwali.